New Release! Reluctantly Charmed, a Clean Historical Romance is Live on Amazon! Circle of Trust, a K-9 Inspirational Contemporary Western Romance is Live on Amazon! 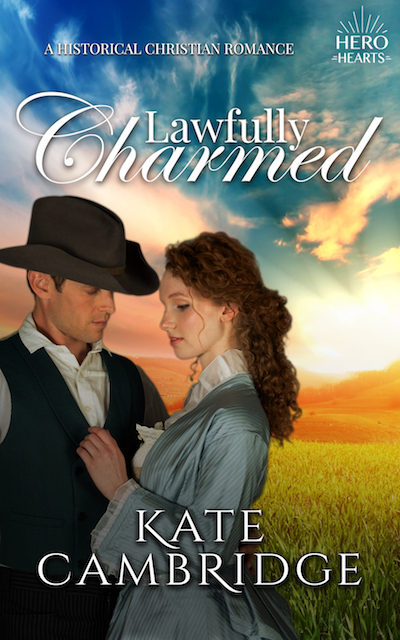 Lawfully Charmed, a Sweet Western Historical Romance in the new Hero Hearts Series is Live on Amazon! Love’s Leading Launches with the First Street Church Kindle Worlds Series! Kate Cambridge is a bestselling indie author writing cozy mysteries, sweet historical romance, and contemporary romance—all with a thread of faith, hope, and suspense intertwined.